Fancy playing some sport while at Tooleybuc? There are a range of options for everyone to enjoy themselves and if you are lucky and the timing is right our sporting clubs may even have a fun event running that you might wish to join in. 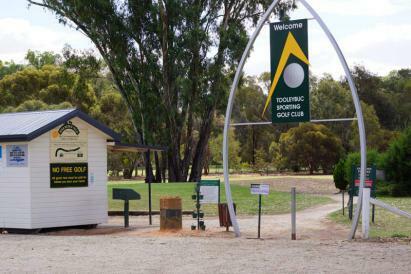 The Tooleybuc Sporting Club maintains a 9 hole/twin tee golf course making for a pleasurable 18 holes of fun which can at times be a challenge if you are not hitting straight. It's a nice relaxing way to spend a few hours. You can see the green fees and an interactive map of the course here. Be sure to check out what events are happening as you are always welcome to join the field and play with the locals. 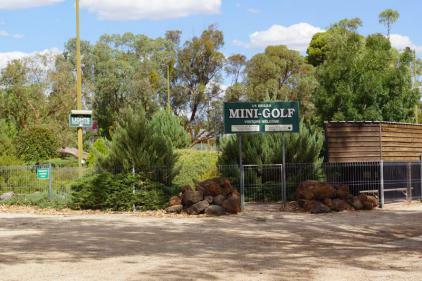 The Tooleybuc Sporting Club also has an 18 hole mini golf course for your enjoyment which is great fun for the whole family. There is also lighting available to play after dark. On site is also a fenced off tennis court that can be used by anyone staying in the area for a small fee. We also have a half sized basketball court with a single ring on site available for anyone to use. 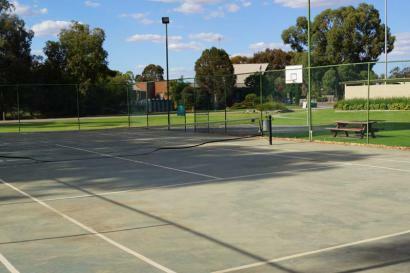 The township of Tooleybuc offers many other areas to enjoy sport. 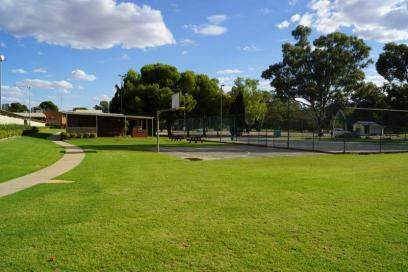 Across the road from the club are netball courts and also the football.cricket oval which is maintained by the club. Of course Tooleybuc is situated right on the Murray River so you can also go swimming, boating, fishing and all other water sports. Tooleybuc has many sporting clubs within the town and you can check out what's happening with them at via the following links. You may wish to go along and watch some of the events happening in the township while you are here.